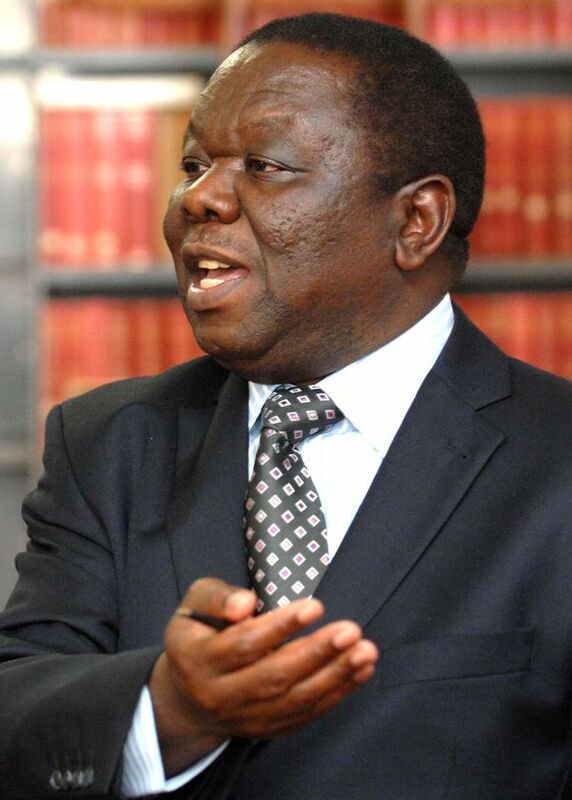 It looks increasingly unlikely that Morgan Tsvangirai will lead the MDC to the promised land. Fourteen years ago, Zimbabwe’s main opposition party, the Movement for Democratic Change (MDC) launched itself onto Zimbabwe’s political scene with great local and international fanfare. The MDC was seen as having given rise to a new understanding of Zimbabwean politics, which sought to explain the vulnerability of President Mugabe’s Zimbabwe African National Union–Patriotic Front (ZANU – PF). Not since independence from British rule in 1980, had an opposition party played such a significant role in the Southern African nation’s politics. Indeed, for the first time ever, ZANU–PF went on to lose a majority in parliament, and its octogenarian leader was relegated to second place after being beaten by MDC’s Morgan Tsvangirai in the first round of the 2008 presidential elections. Many Zimbabweans predicted that the MDC juggernaut would sweep to victory in the elections, which have been scheduled to take place at the end of the coalition government (formed after the 2008 elections). Based on the evidence of voter surveys (notably, Afrobarometer and Freedom House) and some not-so-well-attended MDC political rallies (in comparison to 2002 and 2008 election campaigns), a feeling has developed that the MDC may have indulged in undue optimism. Indeed, the words “˜MDC’ and “˜lose’ are being flung around liberally these days by both local and international analysts. Why are Zimbabwean voters deserting the MDC? One contention is that, whilst in government, MDC politicians have been caught up in corruption scandals, which has made some voters doubt the party’s ability to run the country differently from ZANU-PF. Another contention is that ZANU–PF’s populist policies, such as the campaign for the indigenisation of foreign owned companies, have won sympathy from many Zimbabweans, who being largely unemployed, have aspirations towards entrepreneurialism. The MDC’s opposition to this policy has also been propagandised by ZANU–PF as evidence that Tsvangirai’s party is against black empowerment. In addition, the recently improved performance of the Zimbabwean economy, in comparison to the period prior to the formation of the coalition government in 2008, has been a double edged sword for the MDC. Tsvangirai’s party put forth the argument that with the Finance and Industry ministries in its hands, the party has successfully transformed the economy from an inflationary nightmare to one that has consistently recorded growth (following years of ZANU–PF’s mismanagement), and the land grab policy that destroyed the agriculture sector (formerly the backbone of the economy). However, restoring the economic fortunes of the country has meant the end of the worst food shortages and tackling of hyperinflation. This means that the previously successful message on the need to fix the economy holds less weight. Lastly, it appears the opposition has been unable to guard against an attack on the person of their leader, Morgan Tsvangirai. ZANU-PF has successfully turned nasty rumours into political currency, damaging Tsvangirai’s political fortunes. For example, the antics of the MDC leader in bed and the caricature of him as indecisive have seen some of his ardent supporters doubting his sincerity and capacity to lead the country. These explanations suggest reasons why Zimbabweans in general are deserting the MDC, but not its core supporters. The majority of the party’s votes have traditionally come from urban areas and the Matabeleland and Midlands regions. Why is it that the attitudes of voters from these areas have changed recently? Unnoticed, within the last five years, there has been a development that has had a significant impact on Zimbabwe’s political landscape; the mushrooming of urban based Pentecostal churches that target young urbanites doing well economically, or those poor who aspire to do so. These groups have traditionally been the core of the MDC support. Whereas ten years ago, the MDC had the capacity to attract sixty thousand young urban dwellers to a political rally, today it is the Pentecostal church leaders who get the crowds. Led by the likes of the charismatic Emmanuel Makandiwa and Hubert Angel, these churches have built a strong following of mostly young urbanites, would be MDC voters. One characteristic of the groups is apathy towards politics, particularly as a product of religious teachings, and also a disturbing tendency towards a sort of puritanism that politics cannot provide. These young born-again believers have a moral repulsion towards politicians, and it is not surprising that a promiscuous presidential aspirant will have little chance in winning their vote. ZANU–PF has also seized on a heightened anti–western mood amongst the young to intensify its portrayal of Tsvangirai as a front for neo-colonialists. Buoyed by the “˜Africa Rising’ meta-narrative, this message appears to be resonating with mostly young and educated Africans, and Zimbabweans are no exception. Judging from the two most recent elections in Africa; Kenya and Zambia, where Uhuru Kenyatta and Michael Sata ran campaigns based on sustained anti–western rhetoric, the MDC might need to devise a strategy to guard itself against being portrayed as its stooges. The MDC’s alienation of voters from the Mateleland and the Midlands regions appear to have been shaped by a number of factors. First, people from Matebeleland and the Midlands state that they are dissatisfied with the MDC’s failure to secure decentralisation of the state, both politically and constitutionally. Second, voters from these regions, who are predominantly Ndebele speaking, have accused Tsvangirai of not doing enough to ensure that the issue of Gukurahundi, where 2000 civilians were allegedly killed by the state, is resolved or at least kept in the limelight. Third, some of Tsvangirai’s personal behaviour, such as impregnating a 23 year old girl from Matebeleland, denying responsibility and later on admitting that he was the father, seems to have helped reverse inroads that the party had made in this constituency in the last 10 years. Finally, the Matebeleland and Midlands regions have become targets of competition by the resurrected Zimbabwe African People’s Union (ZAPU–PF), a party that was once led by Joshua Nkomo before he was forced into a political union with ZANU–PF, and the smaller MDC formation led by Welshman Ncube, crowding the MDC in the process. There have been a number of developments within ZANU–PF, which the MDC should use to increase its leverage and electoral punch. Most important is President Mugabe’s age and health which remain something of a liability for the party. It will be interesting to see how much campaigning Mugabe will be capable of in the run up to the elections. The younger Tsvangirai should use this opportunity to outdo Mugabe on the campaign trail. Until recently, it was difficult to deny that ZANU–PF had a disproportionate advantage over the nation’s most precious resource; talented politicians. These chilly political entrepreneurs, who tossed aside democracy at the expense of power, have masterminded ZANU–PF’s stranglehold on Zimbabwean politics since 1980. However, some of these leaders have either recently died (Mujuru; Mudenge) or are now old and frail (Shamhuyarira; Murerwa, amongst others) or have deserted the party (Makoni; Dabengwa). Those who have remained have either been thoroughly discredited (Mahoso; Moyo), or fatigued and have withdrawn to the backstage of politics. What are the Options for the MDC? There are three possible options for the MDC. The first is to join a “˜coalition of the opposition’ and formulate an effective “˜grand’ campaign strategy that would articulate the parties’ policies using nationalist rhetoric. The advantage of creating an opposition with ZAPU–PF and the smaller MDC formation is that the “˜coalition of opposition forces’ have a chance at retaining votes from the Matabeleland and the Midlands. However, this might be problematic given enmity that exists between Tsvangirai and Ncube. The second option is to scale back, and to be realistic in terms of what the party wants to win. The MDC must decide if it wants the presidency or a majority in parliament, or both. The reality is that winning the presidency now seems a very difficult task, considering Tsvangirai’s tainted leadership. Indeed, based on recent surveys, his chances are much slimmer than in the last two elections. This leaves the MDC with one option; recapturing the majority in parliament, this time with a much wider gap that will give the party a shot at pushing for reformist legislation. It seems the party will have to wait for Tsvangirai’s svengali, Tendai Biti, probably a more capable leader, to take over if they want to win Presidency too. The third option is simply to ignore the polls. This “˜strategic denial’ appears to be the course that the MDC has opted for so far. Such a calculus, it appears, is based on the premise that these polls are in most cases wrong. The demise of authoritarianism in Zimbabwe will surely come. But there is little reason to think that the day is near, and even less to think that the opposition MDC is the party that will torpedo the current dictatorship. Today the party is more dysfunctional and commands less authority and support than ever before, and it shouldn’t come as a surprise when it loses, even in a free and fair election. If the MDC wants to enter the nation’s history books, and not end up as a footnote like Edgar Tekere’s Zimbabwe Unit Movement, they need, sooner rather than later, to win back the hearts and minds of those Zimbabweans who had so much hope and belief in them. China Africa News: China a force for peace in the new Sudan?